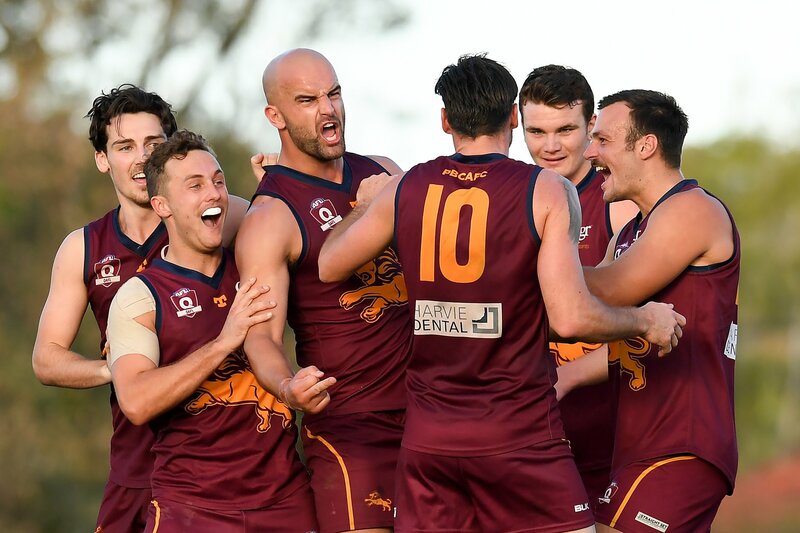 After securing second spot on the ladder and a home final in Round 17, the Lions headed up the highway to Sandgate to take on the last placed Hawks. However, nobody foresaw the results that were locked in by the end of the day. 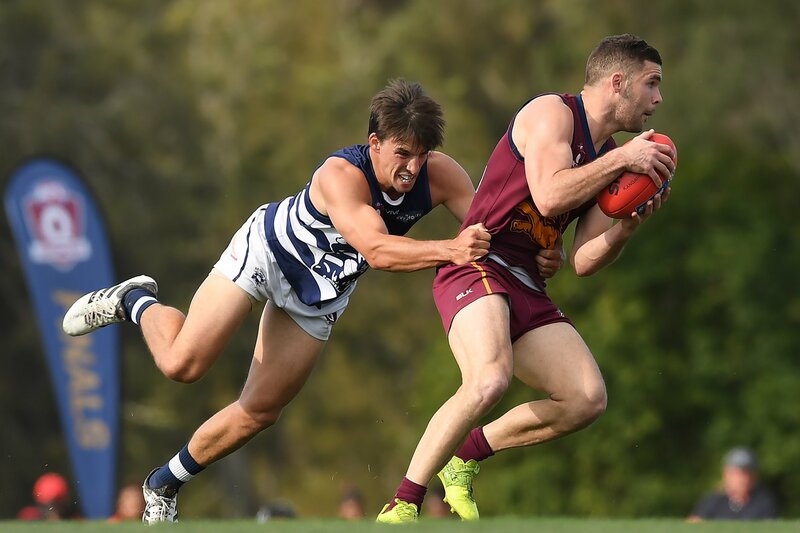 It was an undermanned Lions outfit that took on the Hawks, but there was more than enough talent on the field to secure a last round win. 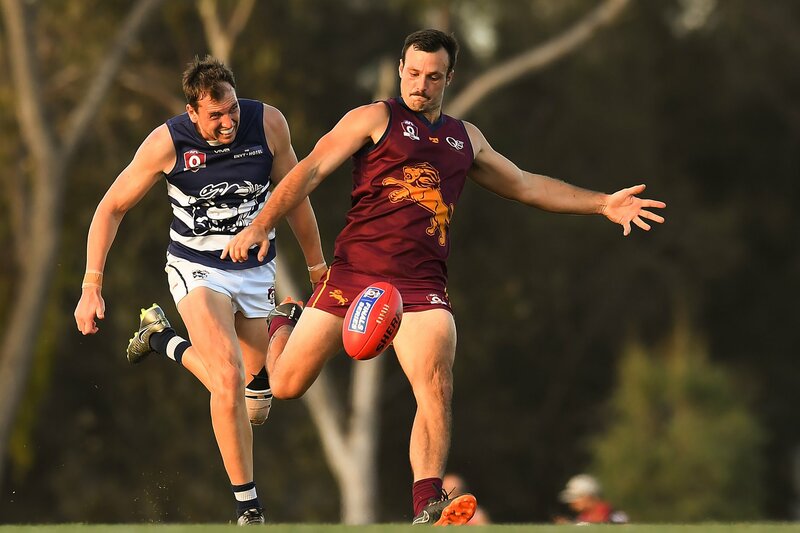 Things went pear shaped early as the fired up Hawks, who had only 1 win on the board for season 2017 came out full of energy and outscored the Lions 4 goals to 1 in the first quarter kicking against the strong breeze. Their motivation appeared high whilst the Lions lacked intensity and were clearly not focussed. 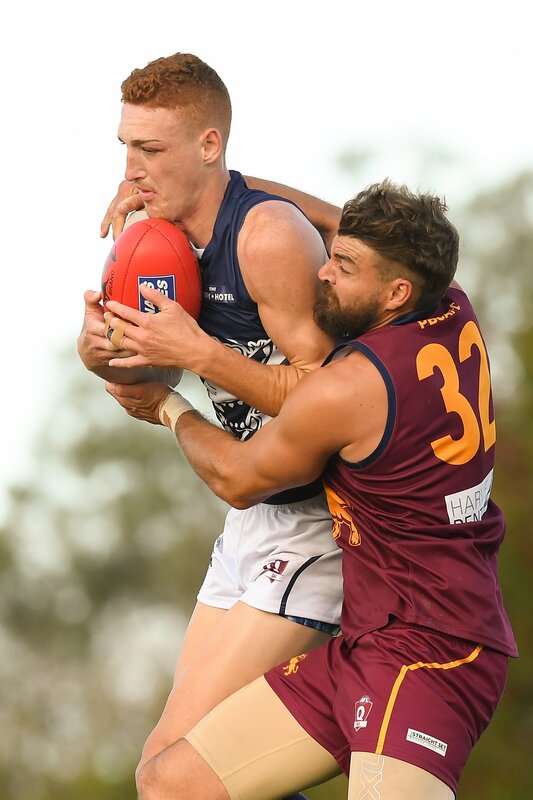 Things continued to go wrong as injury robbed them of Jason Burge just before the quarter time break and then Harry Hulls and Brock Askey during the second quarter. 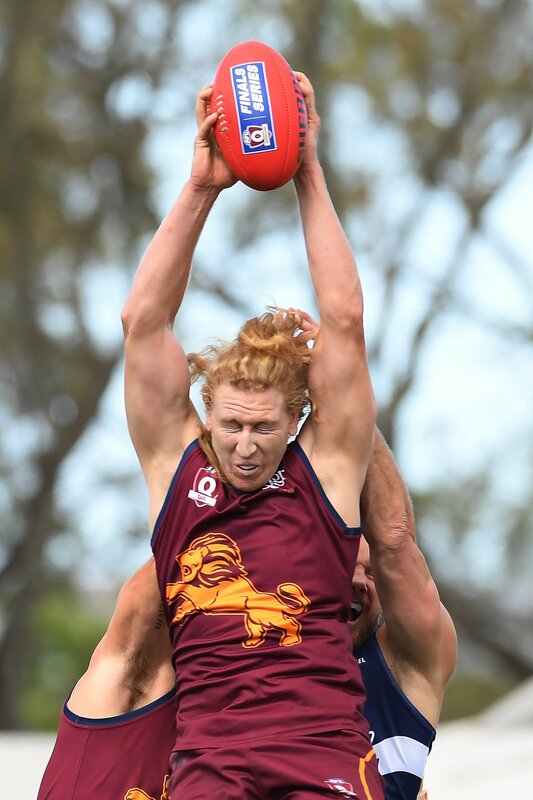 Josh Woolley also battling some soreness and the Lions had no bench after half time and were 4 midfielders down. But the telling factor was intensity. The Hawks had it and the Lions didn’t. 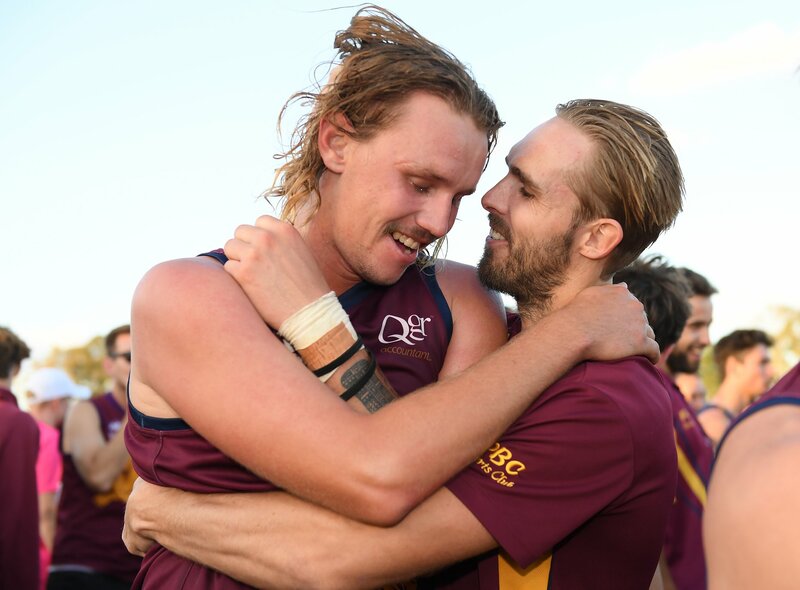 Come the last quarter it was all over early and the Lions put the cue in the rack whilst the Hawks piled on the goals. 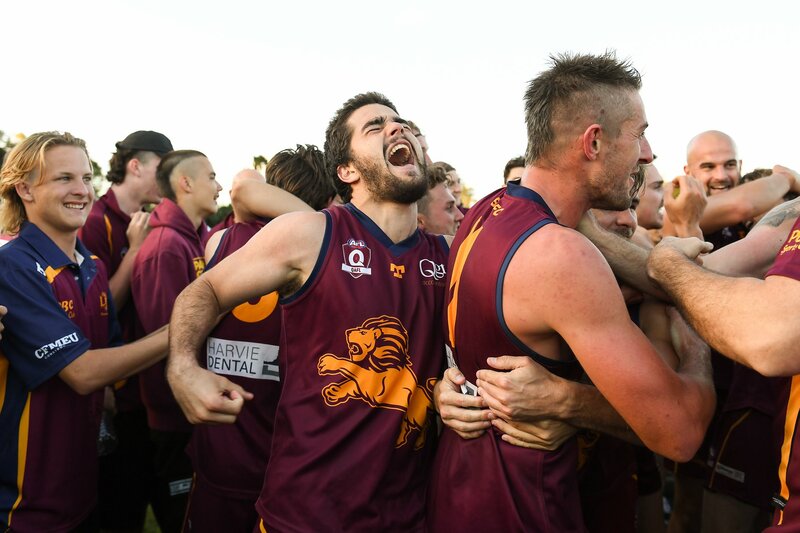 It was certainly a game to erase from the memory bank and after the game the boys immediately shifted the focus to a home Qualifying Final next week against Broadbeach. 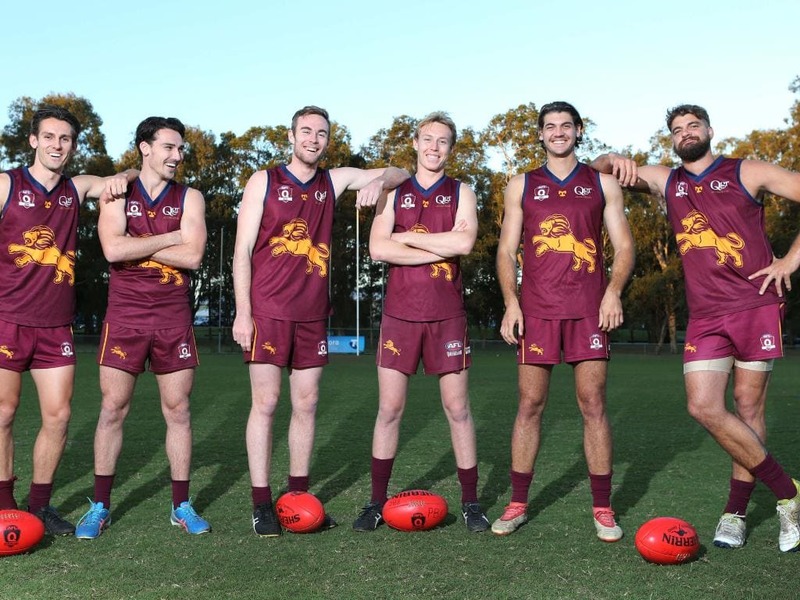 A host of players will return for the the Lions and they will be looking to recapture some of their early season form against the Cats, who come of a strong win against Morningside. 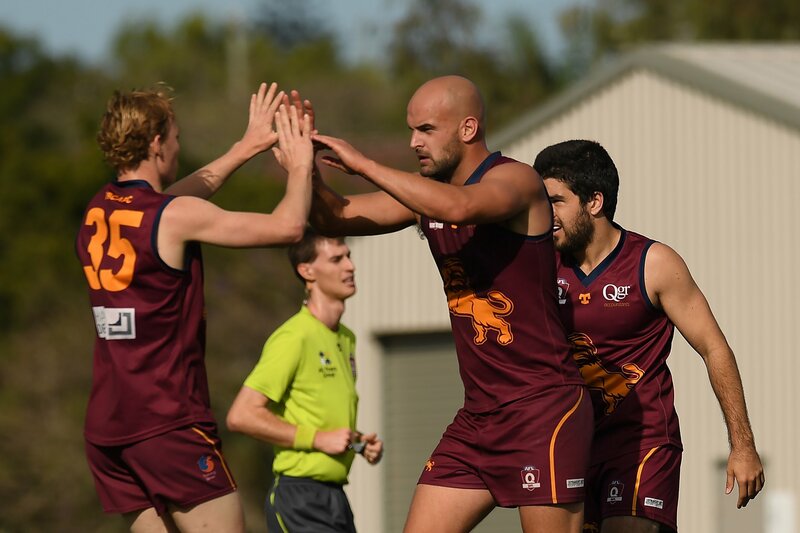 In the reserves, it was similar ladder positions and the same result although the Lions almost snatched the win late losing to Sandgate by 5 points. 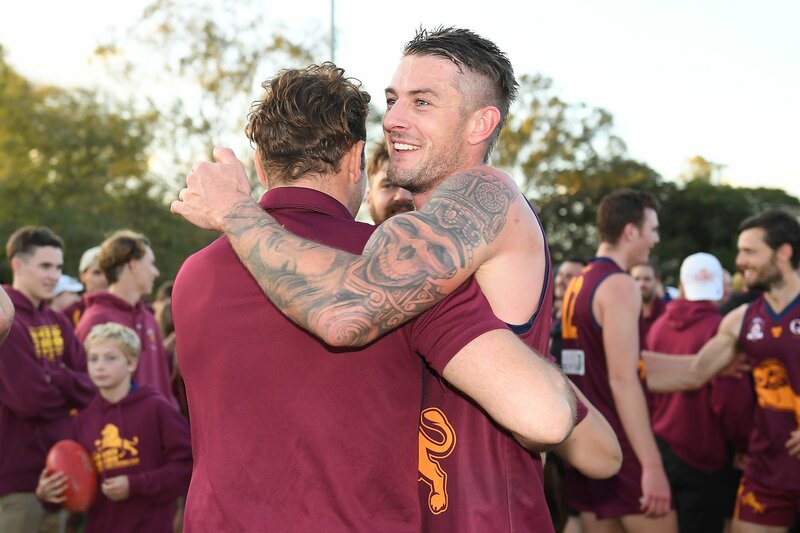 The reserves have finished 3rd on the ladder and will play the Qualifying Final at home against 2nd placed Mt.Gravatt. 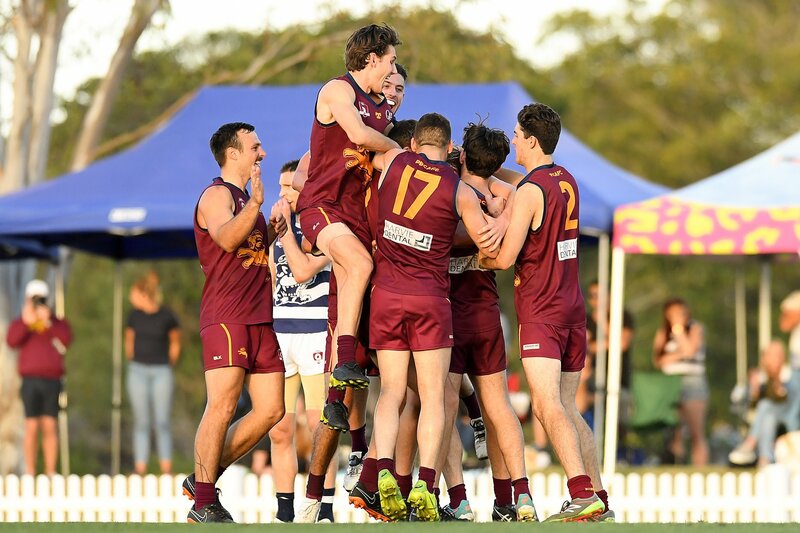 The Colts held off a last quarter burst by Sandgate to win by 10 points. They will also make the finals finishing in 4th place and will take on Wilston Grange at Morningside in the Elimination Final. Well done to all teams on making the finals and best of luck over the finals series! 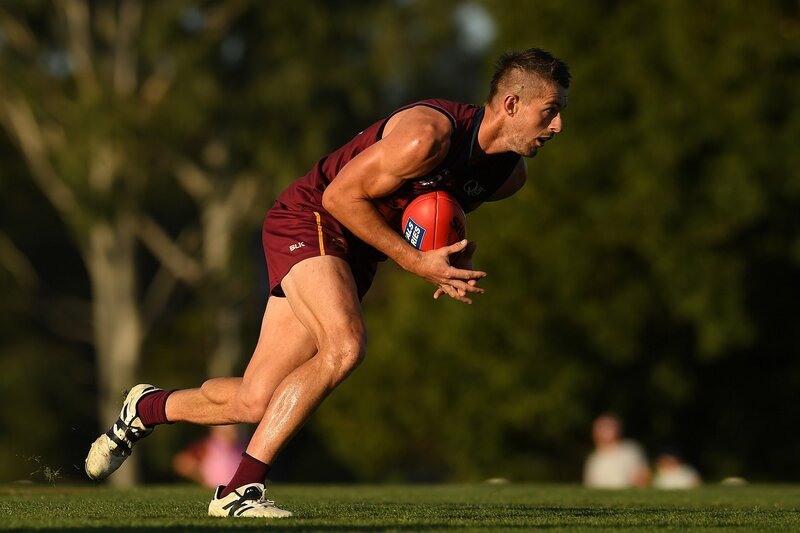 Looking forward to seeing a large contingent of PBC supporters at Salk Oval on Saturday! Certainly not the result that we were after in last home and away game of the year. From the beginning of the game Sandgate were all over us. They were playing like they had 7 months until their next game. It was a game where not much went right for us and as a result we were convincingly beaten by a side that was hungrier for the contest. With the regular season now over we turn our attention to the finals series. I believe that this has been in the back of the players minds for a while now and may have been looking aa bit far ahead. 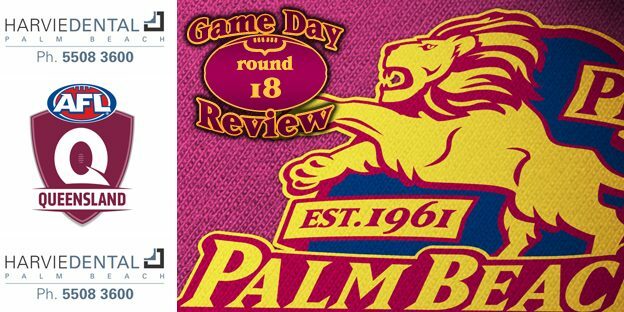 We have a home final this week against Broadbeach and will have some experienced senior players coming back into the side. Hope to see all our loyal supporters there cheering the boys on. Last game of the year against the bottom side with nothing riding on the result. Unfortunately the boys put in our worst performance of the year. We were flat from the first bounce, had no energy and clearly showed a lack of respect to a hungry opponent. To the boys credit, we hit the front late in the last qtr despite only playing with 17 players but some costly turnovers prevented us from pinching the game. Good to see our pride coming through but was still disappointing to finish whats been a great year on a losing note. It does teach our side a valuable lesson on the eve of the finals in that our mental preperation has to be spot on as the intensity of each game from here on goes up a few notches. 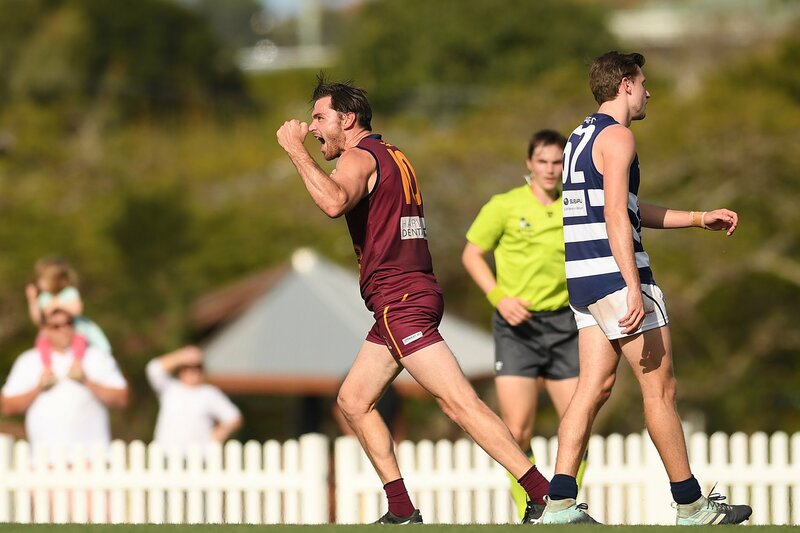 All in all a real good home and away year under difficult circumstances and we move on from the Sandgate as we get back to playing our brand of footy. 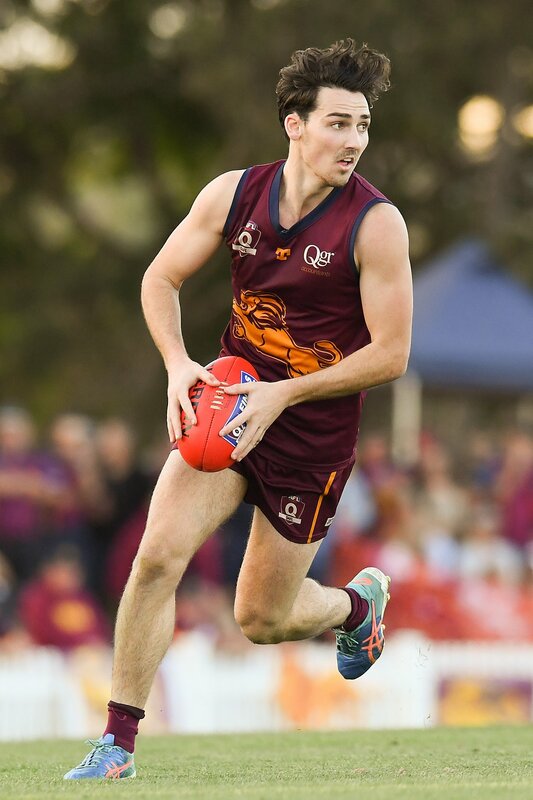 Last round of the home and away season, unfortunately we will be missing our leading goal kicker for the rest of the season due to a broken angle at school, Riley Engels you helped get the team where we are, to be contending for finals mate, thankyou. 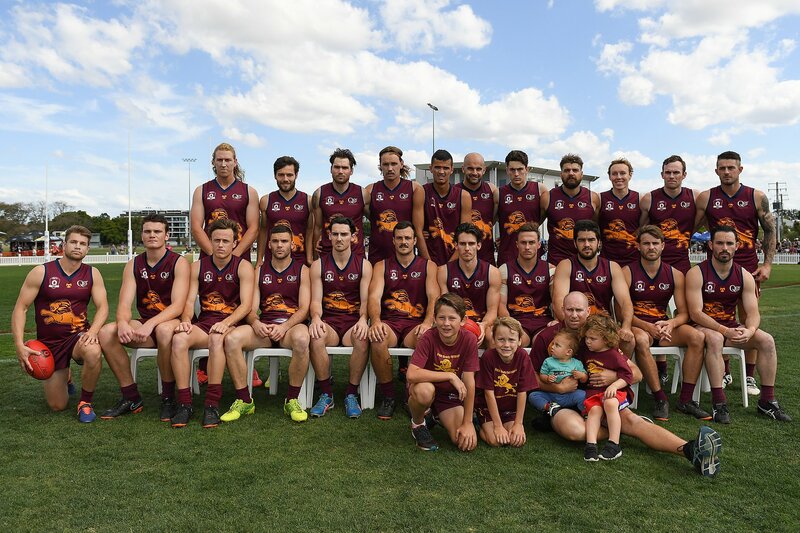 Also missing this week is Dean Katsiris with concussion from school boys footy and Jarred Neuhaus with knee soreness, both play are expected back next week. 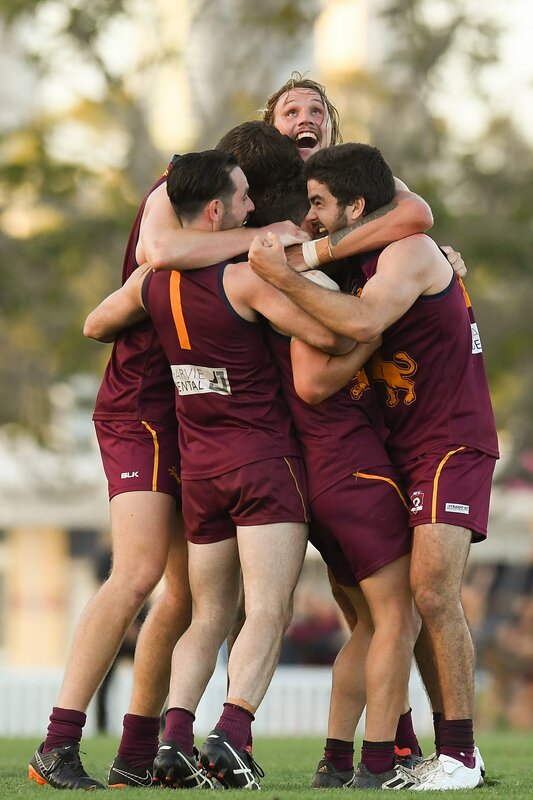 This was a must win for our boys to secure 3rd spot of the ladder, with Morningside defeating Broadbeach, third spot was ours. Football is a funny game, when you think playing the second bottom team will be an easy win, and the best team all year should win also, things can change. 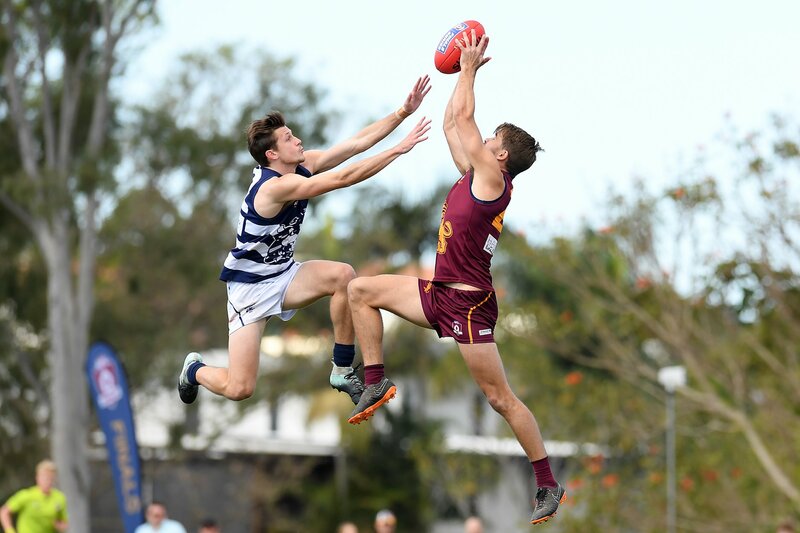 Broadbeach got the better of Morningside and Sandgate put up a strong challenge to win their last game of the season. This pushed us down to fourth position. 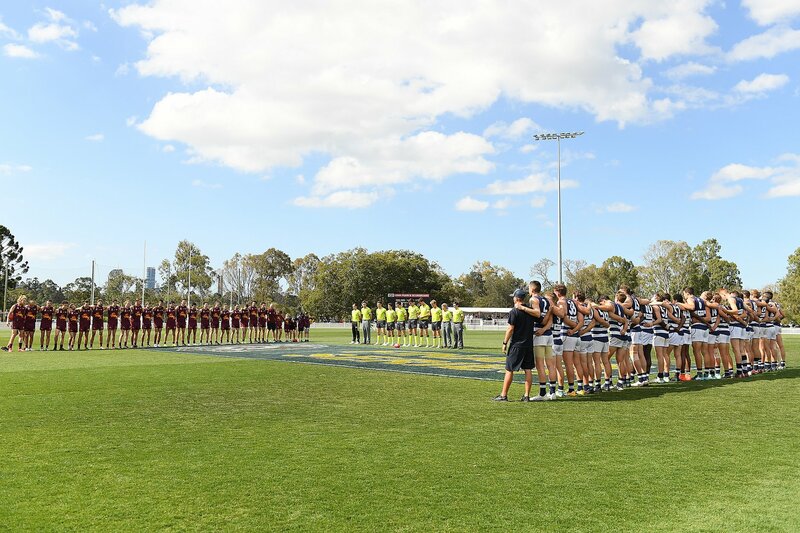 Travelling up north to Sandgate is a long trip for some of our players who live 1 -2 hours south in NSW. The boys looked ready to play when they arrived at the ground. Coming out strong in the first quarter with the aid of a strong wind we kicked away to a 20 point lead. 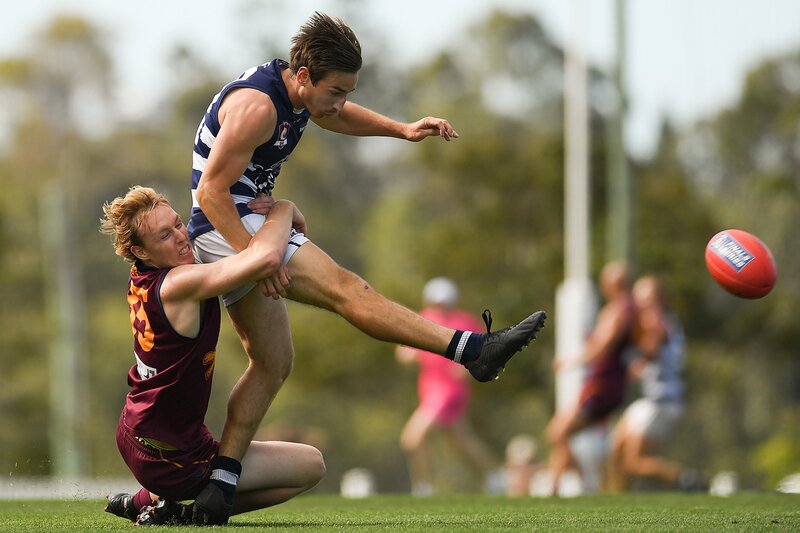 Due to a heavy tackle, Nick Perso was concussed and stretched off early in the first quarter. Nick joined the boys sitting on the bench later that quarter with the biggest smile on his face just loving life, and that’s where he stayed for the rest of the game. Kicking against the strong wind in the second sore the boys play hard running football. Keeping Sandgate scoreless while adding two more goals onto our lead. Some undisciplined play saw a couple of 50m penalties awarded to Sandgate. Second half was an intense battle. 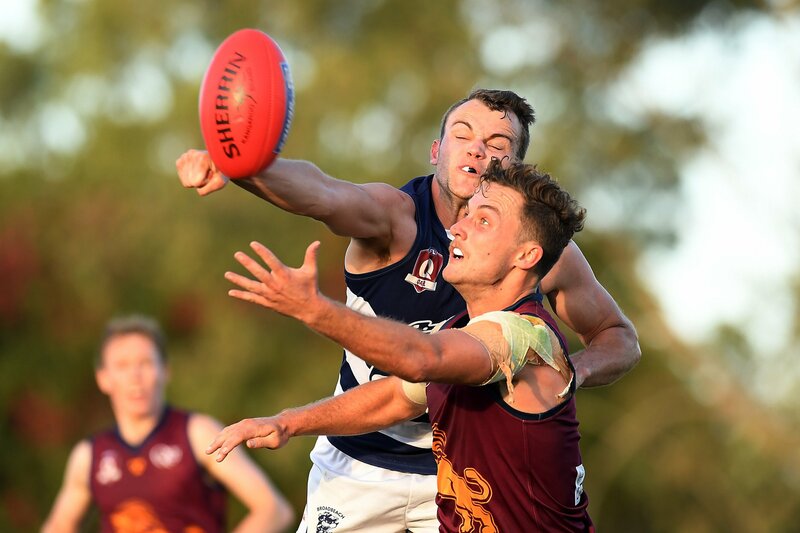 Sandgate players had nothing to lose as they only had 40 minutes of football left for their season and we had the finals to focus on after this game. To Sandgate credit they played great football outscoring us by 5 goals in the second half to reduce the overall lead to 10 points. This wasn’t our best performance, but CONGRATULATIONS COLTS we are in the FINALS.